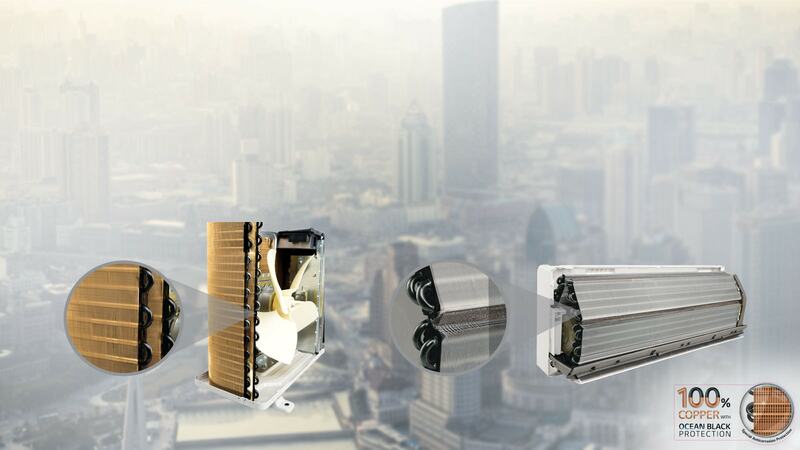 Eco-friendly refrigerants that can prevent environmental pollution. 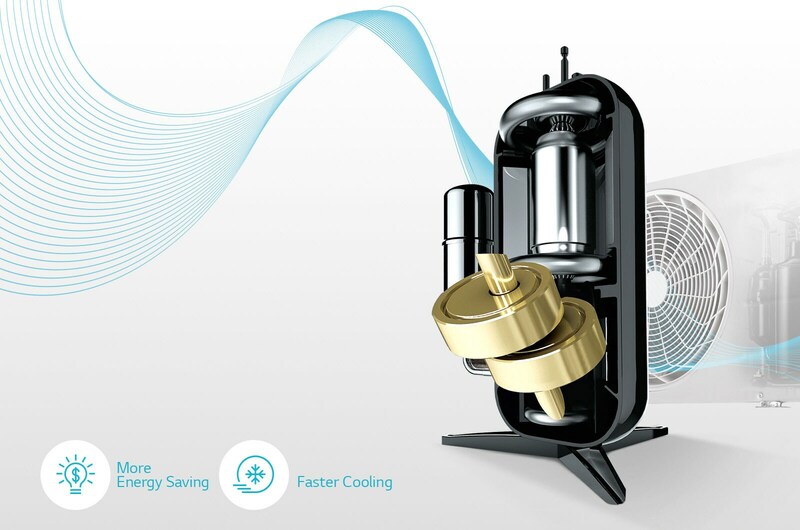 R32 refrigerant is capable of producing high and green efficiency even with a small amount of refrigerant. 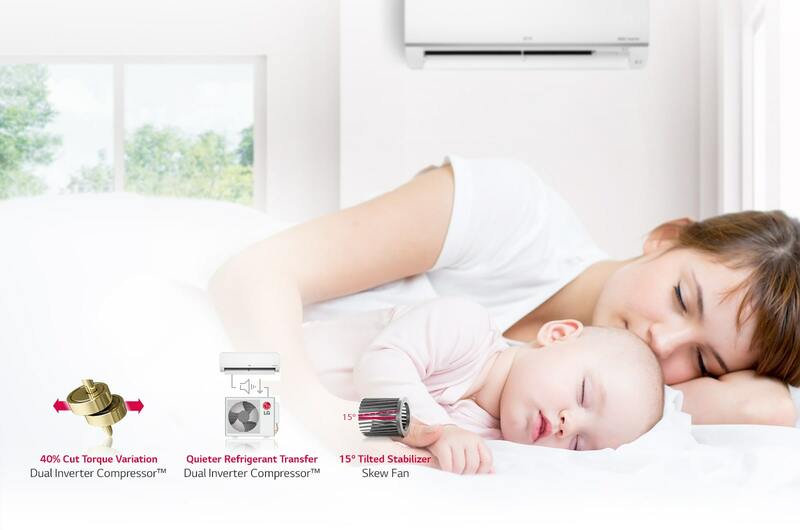 LG's Dual Inverter Compressor™ solves improper, ineffective and noisy problems, resulting in an air conditioner that cools faster, lasts longer, and runs quieter. 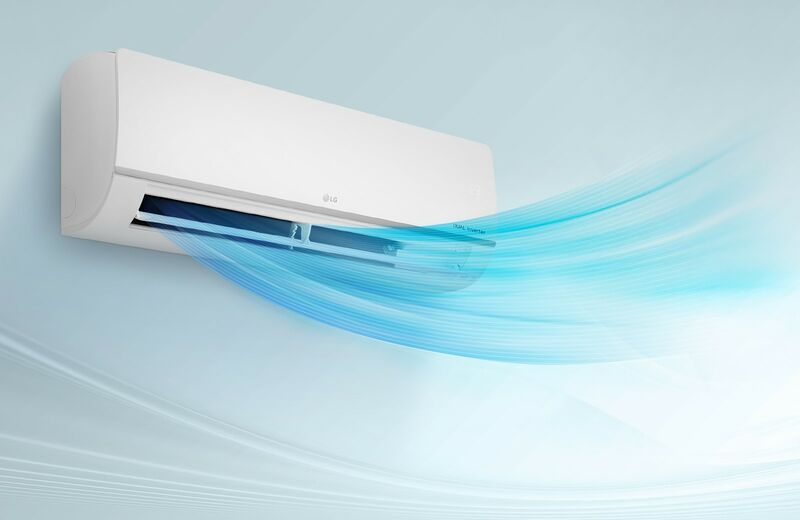 With the 10 year warranty on the compressor, users can enjoy the benefits of LG air conditioner for a longer period of time. 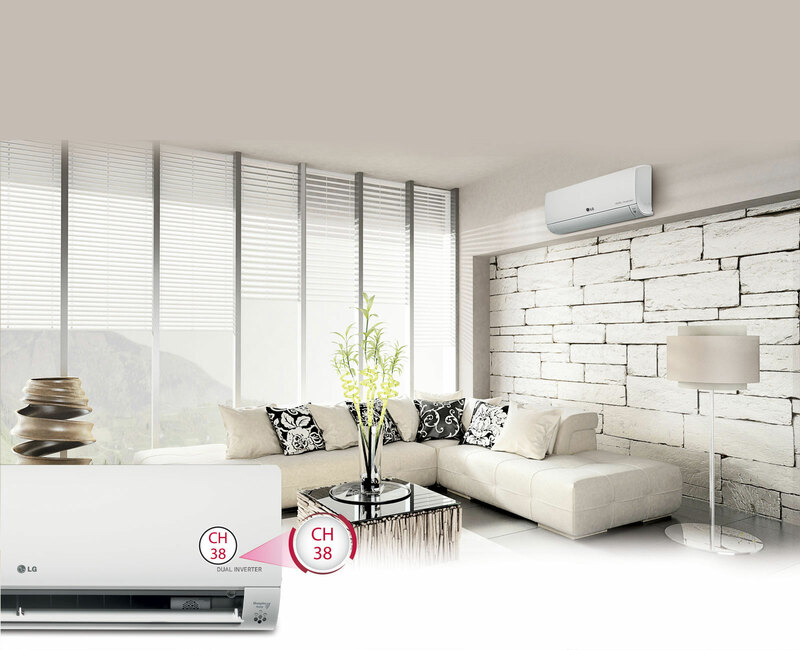 LG air conditioner begins cooling the air fast using its high speed cooling range with Dual Inverter Compressor™, so it expels air farther and cool spaces faster. 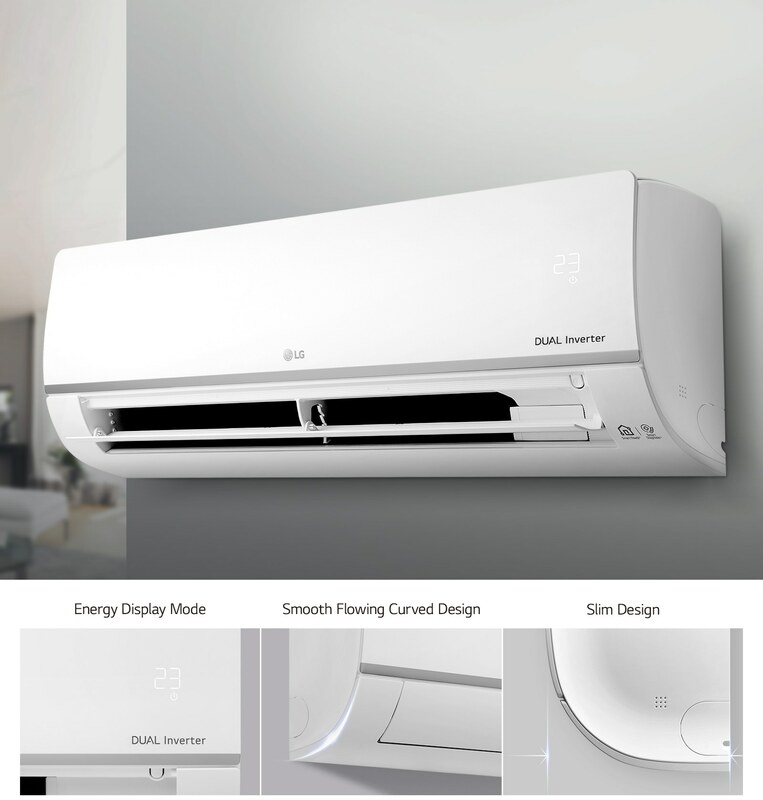 LG air conditioner's slim and modern design makes easy installation and convenient cleaning with EZ sliding filter. Moreover large hidden display is perfect for checking your energy display conveniently. 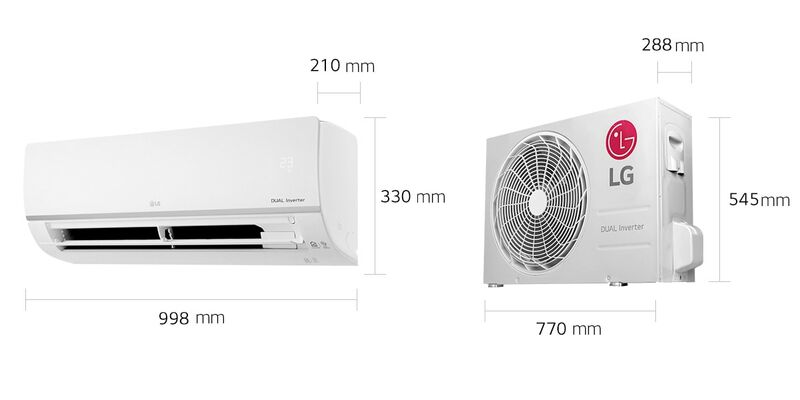 LG air conditioners operate at low sound levels, thanks to LG's unique skew fan and Dual Inverter Compressor™ which eliminate unnecessary noise and allow for smooth operation. 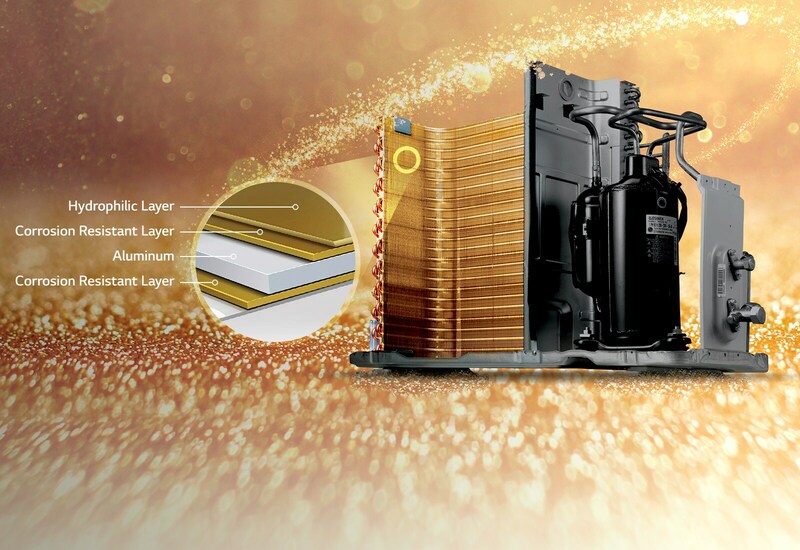 The Gold Fin™ ensures that the surface is more resistant to corrosion and enhances the durability of heat exchanger for a much longer period.